Discussion in 'Replica Props' started by howlingwind13, Mar 19, 2006. 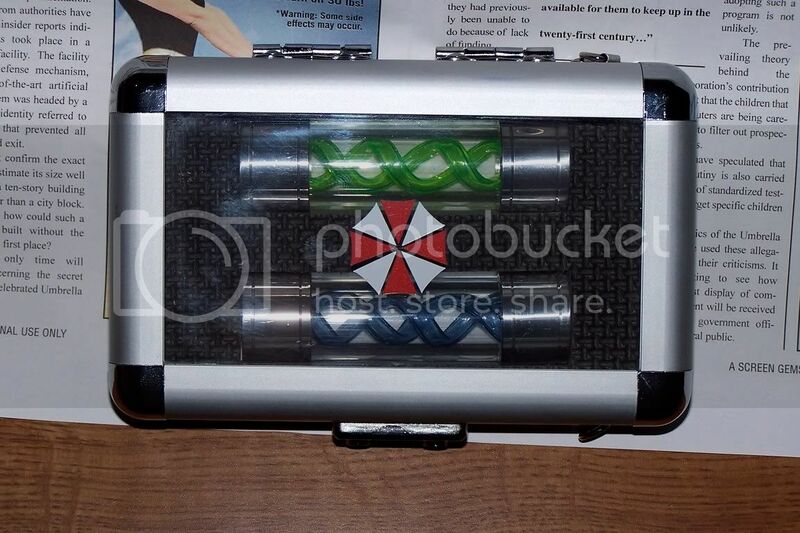 Just watched resident evil 2, I've seen it before but just wondering if anyone has ever made the glass blue or green chemical weapon they drop that causes the outbreak? Also they did a "dawn of the dead" homage with thier own "the dead walk newspaper" Just curious if anybody has or is planning these? MY GOD. Did I say dawn...I meant day...good lord I'm losing it. 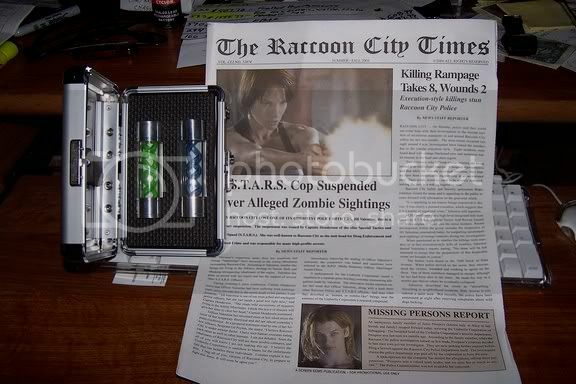 Can't believe I made that mistake...was it the raccoon newspaper or the day of the dead paper...I have a "day" paper looking for a resident evil version. 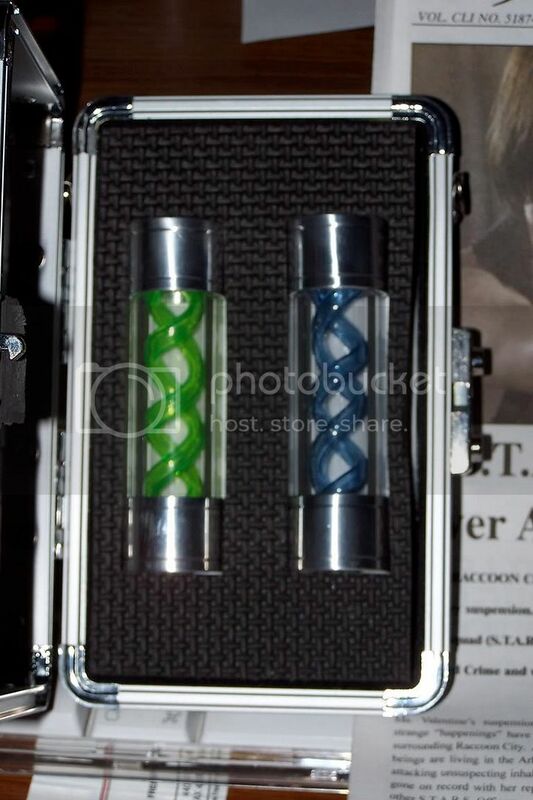 I made a set of the T-virus and Antidote a while back. But then I wrapped my dodge charger around a telephone poll and I needed to clear out my props to get a new car. It was pretty cool though, I had the tooling done for the doubble helix coils to be made in real glass instead of thoes crummy rubber ones. Glass outter casing and stainless steel caps. Is anyone interested in this? I might do another set for myself or turn it into a run. If there's intrest, I'll make one more for myself to post pictures of. 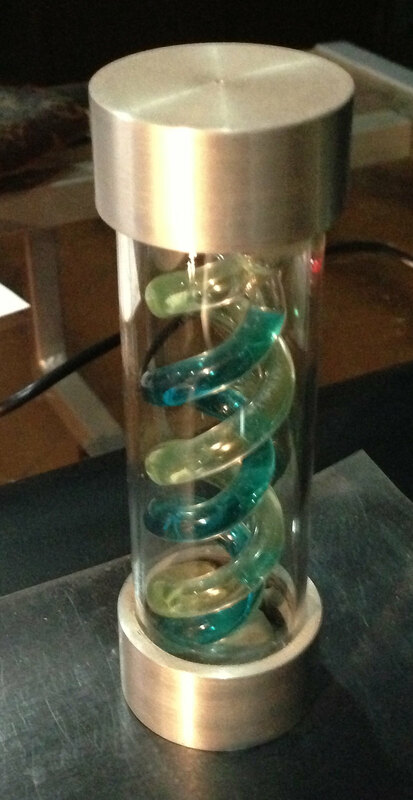 It was pretty cool though, I had the tooling done for the doubble helix coils to be made in real glass instead of thoes crummy rubber ones.Â Glass outter casing and stainless steel caps. Well I admit it was a bit pricey for my liking. I had a machinist and a glass blower working on these and my total was close to $400 but it was just 1 set, if I had commisioned something in numbers I thing the cost might go down a little. I'v calling the glass guy up today. Here's a couple pieces from my stash. I do have one of the newspaper props and I will post a photo when I can. I have a few RE props. 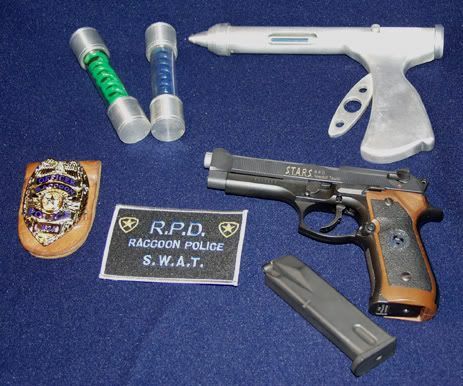 I have a pair of we-tech S.T.A.R.S. Airsoft guns. They are fully metal unlike the Japanese ones. I was planning on recreating Weskers heavily modded pistol but never got the funds to finish it. 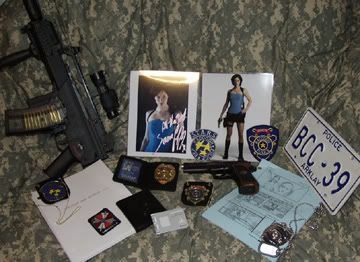 I also have one of the limited edition "Welcome to Raccoon City" street signs. I will try to post pics later. 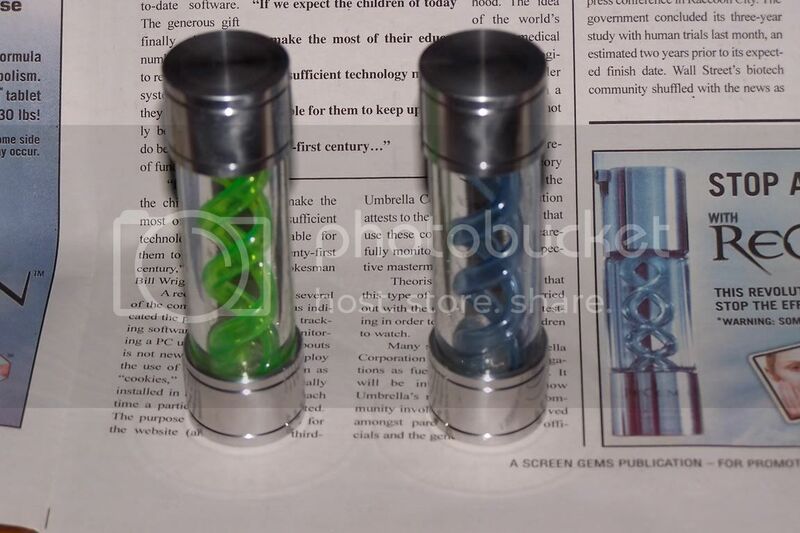 As for the viral vials, the official ones (like TK648's) are still available for purchase for about 200 bucks for a set last time I checked online.